Photo Gallery Tuesday " Canelé by Céline "
A financier is a small French cake, often mistaken for a pastry. The financier is a light and moist, similar to sponge cake, and usually contains almond flour, crushed or ground almonds, or almond flavoring. The distinctive feature of the recipe is beurre noisette (brown butter). Other ingredients include egg whites, flour, and powdered sugar. Financiers are baked in shaped molds, usually small rectangular loaves similar in size to petits fours. Which one would you like to try, or if you have tried both, is your favorite? I love financiers, they are so tasty and not too sweet. 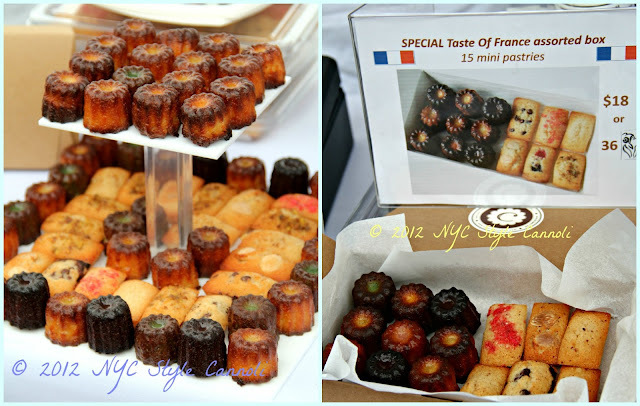 I need to try a canelé yet, and hope to do so soon in one of the great french pastry shops in the city. **Just a little note with this terrible storm this week, hope everyone is safe and secure. Remember that "things" can be replaced, but "people" cannot. Stay safe out there.